A smart installation designed to help middle-school makers develop portfolio practices. This is a short description on the general purpose and functionality of Lightswitch. For a full overview of the research and design thinking that went into the system, please read the article we wrote on our process or reference the slides from our pitch to TechShop. 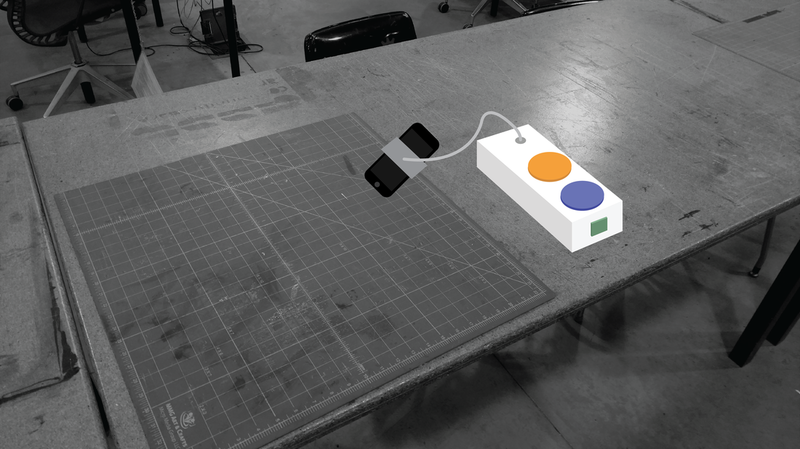 Lightswitch is a system designed in a one-semester class at Carnegie Mellon University meant to help students at TechShop better document their process when engaging in making. The system is primarily operated using an RFID-tagged card called Lightswitch, which is distributed to all students. With their Lightswitch, students are able to activate three different components of the system, each of which allows them to document a different part of their process. Lightswitch operates across all making machines and areas in TechShop by leveraging the system components seen above to automatically document a student's making process, and giving them access to pictures and other documentation artifacts via TechShop-provided RFID badges called Lightswitches. These badges are already in use at TechShop as a means of keeping track of which users use which machines. With Lightswitch, we propose that these badges also be used as a key to a student's online portfolio of documentation photos. The first component of the Lightswitch system is Nightlight, which focuses on the digital component of the making process at TechShop. Because most maker projects begin in a digital format with programs like Illustrator or AutoCAD, it was important to allow students to capture and document their process during this key phase. Nightlight is proposed as a software service installed on all TechShop computers that automatically captures and saves screenshots of students' desktops every time they save their work. In this way, the service is largely invisible, thereby dramatically lowering the barrier to entry for younger users. However, Nightlight also incorporates a small user interface that features two buttons, one for "positive" moments and one for "negative" moments. When a student presses one of these buttons, Nightlight takes a screenshot of their desktop and current work environment and codes it with a "positive" or "negative" valence, depending on the button pressed. This helps students not only accumulate pictures of their work process, but also document the emotional journey that underlies that process. 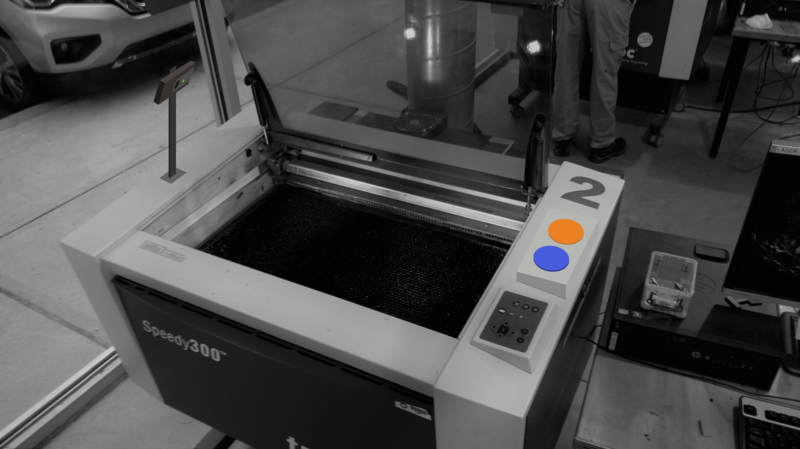 ​The second part of the Lightswitch system, Stagelight, is designed to be a time-lapse camera mounted on machines like Techshop's laser cutters and 3D printers. This arrangement gives students the ability to document their workflow when using these machines. Students first use their Lightswitch to log into the machine; this tells Stagelight who is using the machine and where to whose account any captured documentation photos should should be sent. Students also have access to a physical version of the same two-button interface as in Nightlight; in this case, the postive and negative buttons allow students to use the machine's mounted camera to manually take pictures during their making process. The final component of Lightswitch is Lantern, which aims to help learners document some of the smaller and more personal work that they do on their projects. Lantern is a system that functions similarly to Stagelight, but is portable and focused more on manual capture. Students still tag into the Lantern with their Lightswitch badge, but may then take Lantern to a worktable or other area from the larger machines while still being able to document their process. Process artifacts are again captured through emotion buttons like the ones found in Stagelight and Nightlight. 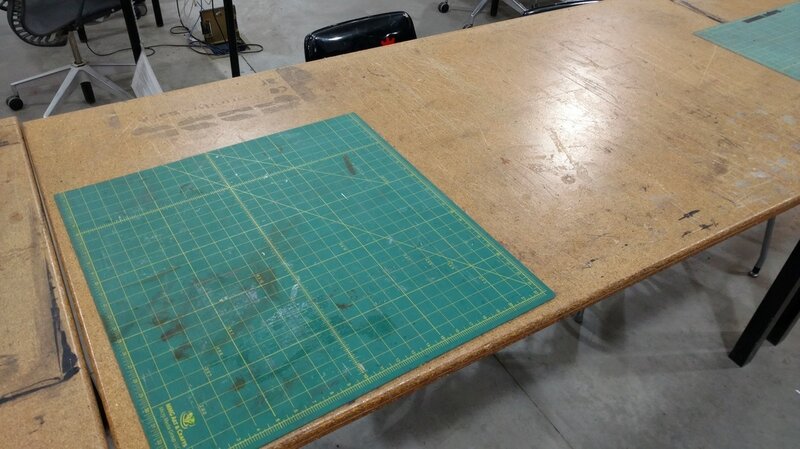 After the student has completed his or her project and accumulated the documentation artifacts necessary to compile a portfolio piece, he or she can use the Prism interface to assemble a timelapse video of the making process. This interface helps the student sort through his or her work, as well as add some key documentation in the form of written thoughts at points of happiness or frustration in the process. Lightswitch proposes a solution to the dearth of process documentation for younger makers at TechShop by leveraging existing technology and combining it in a meaningful way. This project was pitched to TechShop at the end of a semester-long course in Educational Technology design. To learn more about the project, you can find our pitch slides here, and or an article we wrote on the process of creating Lightswitch here.